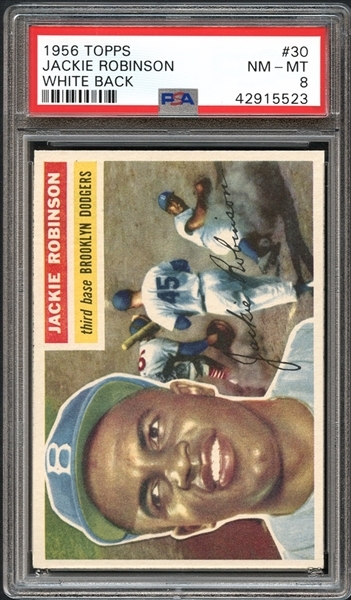 Making his final regular issue card appearance with Topps, Jackie Robinson's life and legacy will be remembered as one of the most important in American history as a man who stood defiantly against those who would work against racial equality while having a profound influence on American culture. 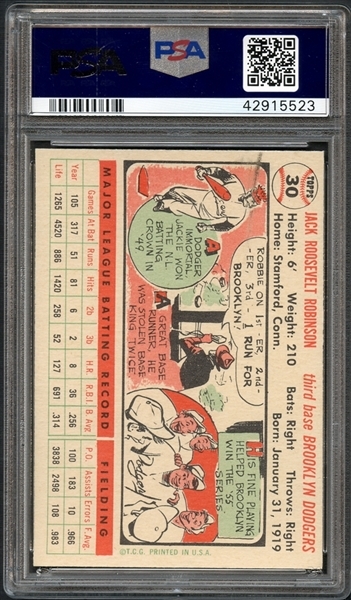 The offered card is a fine representation of the NM/MT grade, boasting sharp corners, outstanding centering, clean white borders, and heartwarming overall appeal. There aren't many at this grade level that can beat this one!